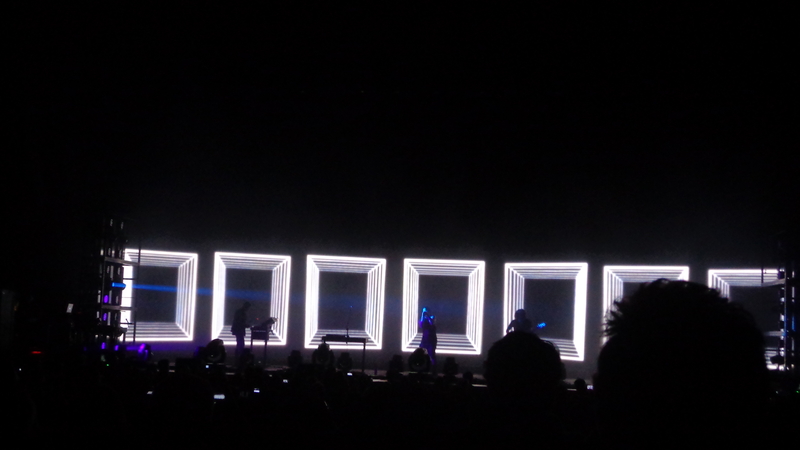 I saw Nine Inch Nails last night in Camden, NJ with daughter Eva and our friend Ken. She is a dedicated fan, and she considers it an accomplishment to take me to see them. Him. Trent Reznor. NIN is important to Eva. That’s why I was there. We both find music necessary. To listen passively to music and then let it go is incomprehensible to both of us. We must understand what is being said, how it’s being said, what influenced the artist to say it, and evaluate the effectiveness of his methods. Then we must choose to reject or to internalize it. In My Concert Shoes I discussed the importance of sharing concert experiences with my daughters. Yo, they’re the most fun people I know. Reznor’s music is refreshingly honest. No teenage poser angst. Doubtful but still questioning, anger and despair in the search for answers. 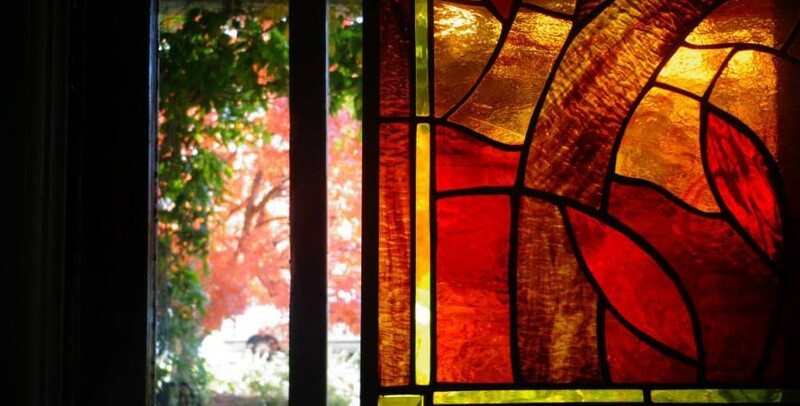 Sometimes a dialogue with God, though it may be an angry one. Drug abuse, exhaustion and recovery have influenced the work. All is expressed in the most concise manner possible. Artistic integrity is rarer than it should be. It sounds great. He’s done an interesting thing. 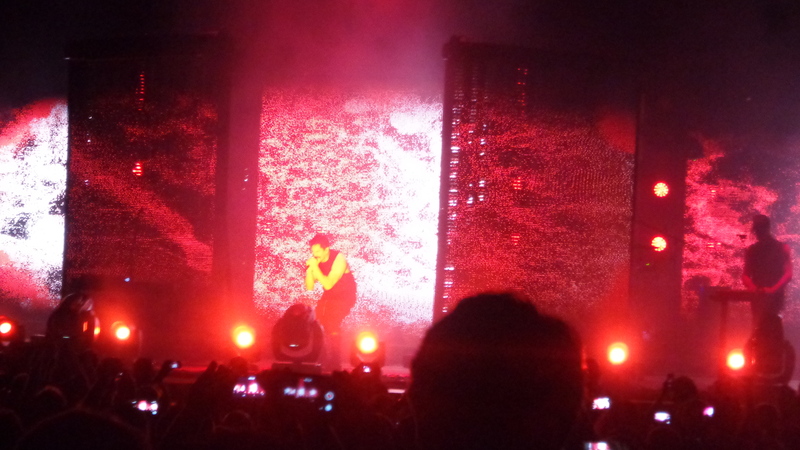 Trent Reznor has founded a genre which he still owns. You recognize a song by NIN without being told; nobody sounds like NIN. Reznor has branded NIN like no one has branded anything. (My daughter can explain his marketing genius.) But he has managed to keep the focus on the music rather than on his celebrity. It was an amazing show. Soundgarden and all their pyramids opened, finished, lights went up, stage was re-set. 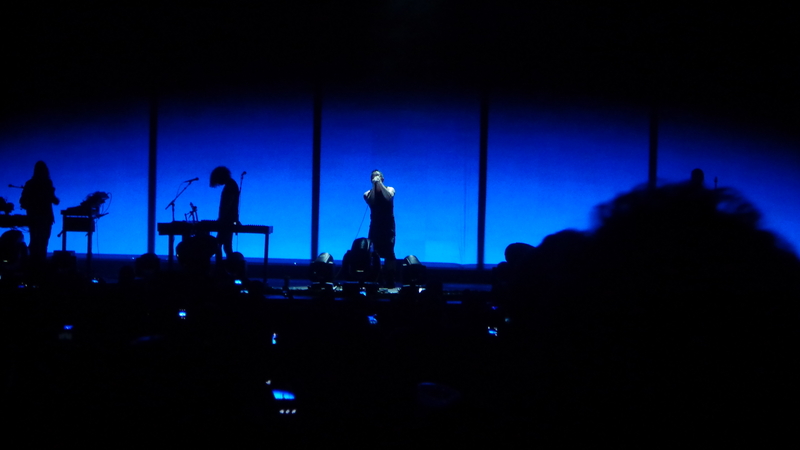 Half the audience outside getting drinks, Trent Reznor walked unannounced across the stage to the mike, and began. Drummer started playing and drum set wheeled over, other band members joined. Then the lights went down. 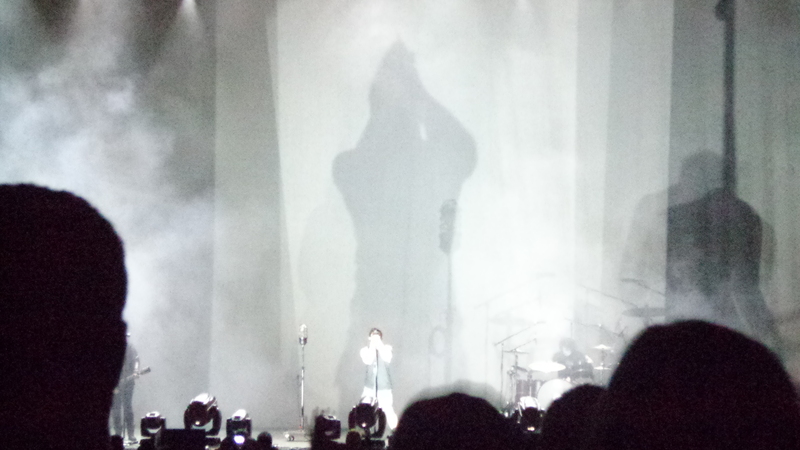 There was no doubt that Trent Reznor was in control of the room. Powerful, relentless, energetic sound. It is the most aggressive performance I’ve ever experienced. There are no breaks in the music or the visuals, no time to catch your breath. It is an onslaught. I felt assaulted. But after all, it’s only music, so nobody gets hurt. The visual show is even more an assault. Each and every song has a visual concept of its own. It’s gorgeous and overwhelming. There was a time I had to lower my head and close my eyes but I could still see the flashing lights. Moving light panels meticulously choreographed. A light show in turn sultry, somber, blinding, dazzling, frenetic. The visual effects alone were worth the price of the show. I sincerely apologize for my pictures. Thank you Eva! Thanks Ken! 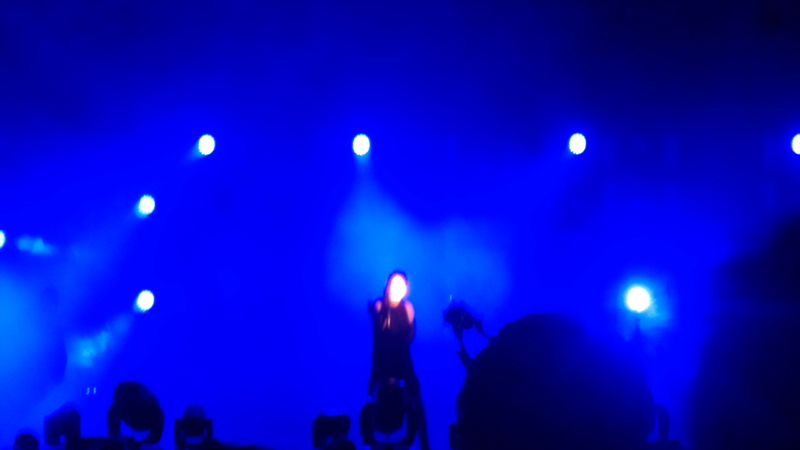 This entry was posted in Home, Live Music Log and tagged concert, industrial music, intensity, live music, metal, NIN, Nine Inch Nails, sharing, techno, Trent Reznor on August 1, 2014 by madblog. These are my concert shoes. I have worn them to every live show since October 1, 2010. Which is a good few. I found them in a bag of clothes given to us by a friend. 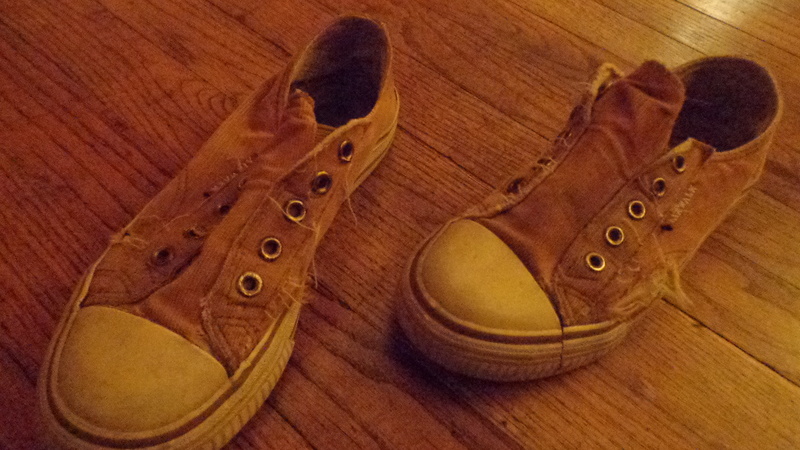 Knock-off chucks.They hadn’t been worn yet (the soles were clean) and they fit just right. I’ve received a lot of compliments on them over the years, and from some pretty cool people. I put them on to see the B-52s at the Electric Factory. That was October 1, 2010. I wore them two days later at the same venue to see Switchfoot for the first time. I don’t have the chucks, which we called high tops then, that I wore to see the B-52s for the first time. But I might have been wearing retro 60’s clothes with heels. That was probably 1981. I wore them last Friday night (May 2) to see Nickel Creek. Lucy and I are fans of this incredible band which was “on hiatus” for 6 1/2 years. 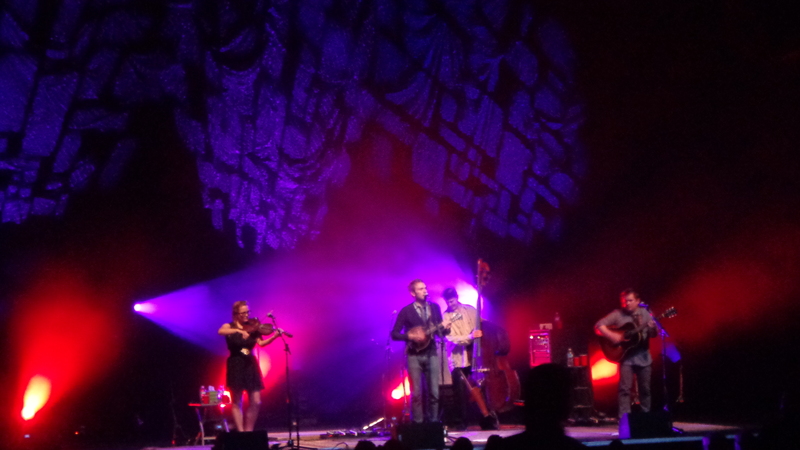 Nickel Creek was no more and each of the members, Sean Watkins, Sara Watkins and Chris Thile, each branched off into multiple solo projects. Multiple projects! They are at the top of the list in their genre, and each one has mastered other genres as well, until genre distinctions become useless. Chris Thile helps you to appreciate how classical mandolin overlaps with bluegrass, how short is the journey from one genre to another, and that music is music is music is joy. When the tour is over, there may never be a chance to see them together again. 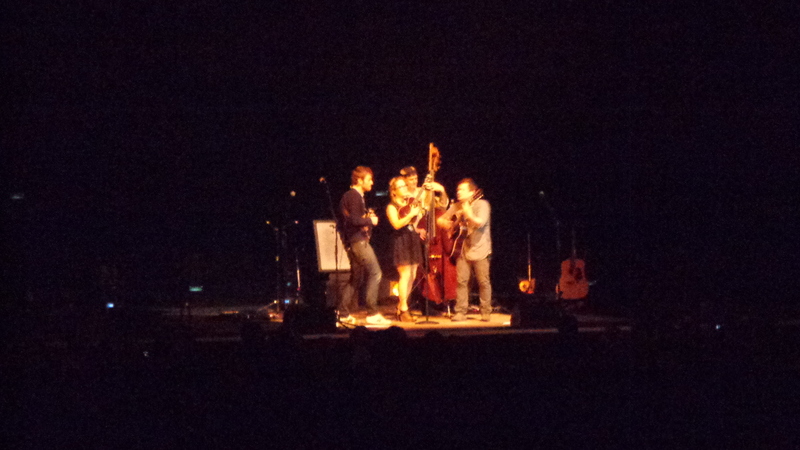 I was fighting a familiar train of thought during the Nickel Creek show. It springs to mind at all good concerts and it goes like this: This is so wonderful I don’t want to forget it. This music happening right now, this second, is passing. That part is over, it’s gone. Pay attention! You want to remember this! No, pay attention to what’s happening now! Stop thinking this and pay attention! Stop thinking that too and pay attention! It’s the old In the Moment dilemma. I’m always thinking about how to hold onto the rare and amazing experience I’m enjoying, and that conflicts with my ability to enjoy it right now. I can’t help thinking that thinking about how special it is diminishes the power of the experience. This Friday, I will wear my shoes to see The Aquabats at the TLA. It will be my husband, Lucy, Josh, Maddy and our friend Brandon. It will just be a lot of fun. And this will be a standing room show–yay! All musical events less formal than classical concerts ought to be standing room! Someone should do something about this. This summer I’ll wear my shoes to see NIN with my daughter Eva. That may raise a question or two from anyone who is tracking with the general theme of my blog; am I “proving all things”? Trent Reznor promotes a very different personal worldview than I do, and there are” language” differences as well. There are two reasons why I will go. First: as a musician, he has real integrity, which is rare these days. The music is honest, emotionally and artistically. Layers and layers of dense industrial sound, yet very melodic and relatable. Second: I would not miss an opportunity to experience this with my daughter. Music is very important to Eva, to Lucy, and to me. We spend a lot of time talking about music. It’s something we share and understand together. There’s no question that I will go. Because cultivating the relationships I have been given is what I am still here for. Sharing experiences with each of my kids is the best thing I can do with my time, and I wouldn’t miss it. They are absolutely my favorite people on Earth. Lucy gave me the ticket to see Nickel Creek for Mother’s Day. 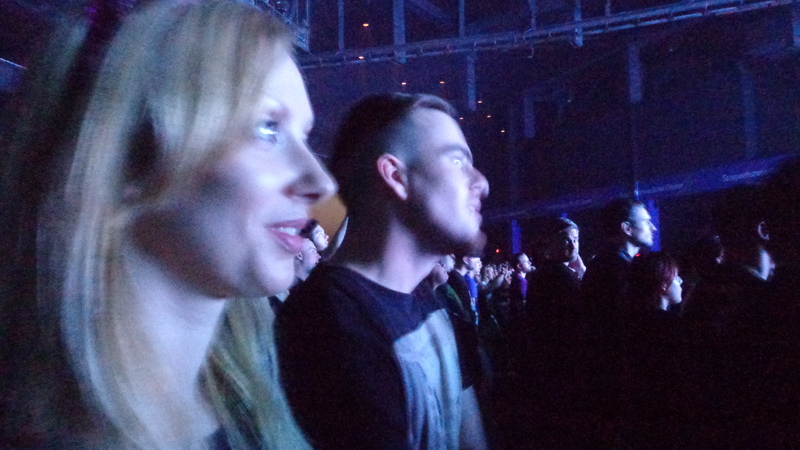 We’ve experienced a lot of concerts together…Switchfoot several times, Needtobreathe, John Mark McMillan, Family Force 5. 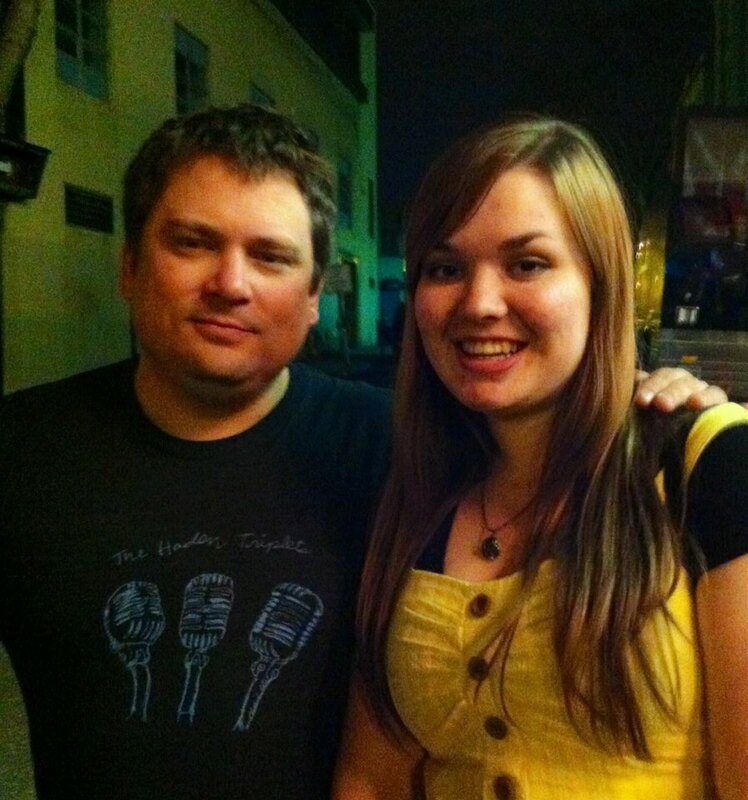 And Fiction Family, where we met Sean Watkins before. Eva is buying my ticket to NIN. 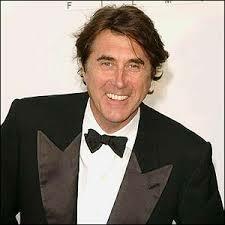 And Harry, Eva and I have our tickets to see Bryan Ferry in October! We have been successful: Eva knows that Bryan is The Man. I am so proud. My shoes will accompany me to more concerts til they fall apart, and it looks like that won’t be long. This entry was posted in Home, Live Music Log, Relationship and tagged bluegrass, Bryan Ferry, children, concert, experience, in the moment, live music, Nickel Creek, NIN, relationships, rock, sharing, Switchfoot on May 5, 2014 by madblog.